Bulova 1968 Accutron Calendar "21364"
My son bought me this beauty for my 50th (1968-2018). Believe it or not it's my first Accutron. Popped a new '344' battery in it and replaced a missing screw and she fired right up and has been keeping amazing time for the last few days. 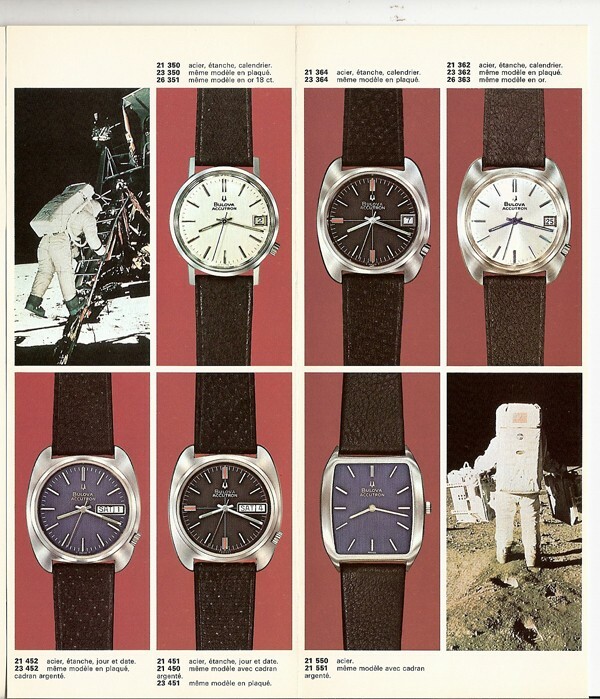 Watch came with original box and booklet showing the model as a '21364' which is confirmed in the advert below. No variant model number found so far. Inside case is stamped '741'. What I also like about this particular watch is that it has all three branding elements on it: the Tuning Fork, BULOVA and ACCUTRON. WOW, I knew it was your birthday a couple weeks ago but I'm not sure I knew it was the BIG FIVE OH! What a great gift, and a brand new family heirloom. Congrats on getting the whole kit, that's the best. Reminds me of the original Hawaii Five-0 TV series, which amazingly enough started in 1968. A very nice gift indeed! Handsome looking Accutron Calendar. Aside from the ad above, I have not found a variant to go with this model number. Thanks all, the watch looks brand new on the wrist. Such great condition.